Congratulations to the winners of this month’s volunteer spotlight, Women of Faith! 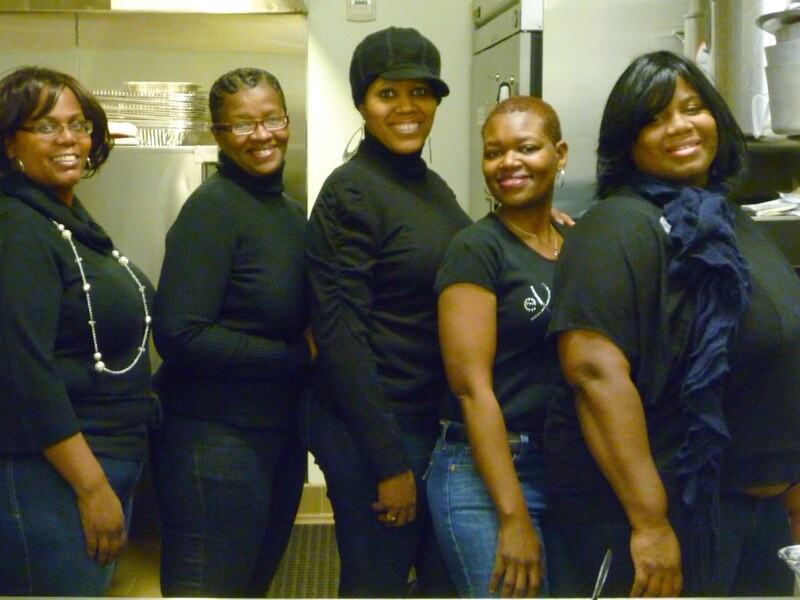 Esther, Laura, Gina, Annetta and Dannett provide meals, support, and encouragement to the women at Calvary. As their name indicates, their spiritual faith and desire to support others motivated them to start volunteering at Calvary’s Pathways transitional housing program over three years ago. Thanks so much to Women of Faith for their dedication and support! We volunteer because we love to help others and be a blessing. At any time, we can all be put in a situation where we would need help. Last year, our kids made Valentine’s Day cards for the women and presented them with candy and a rose. To see the joy on the women’s faces was priceless. Seeing the growth and development in the women as the move on to get jobs and housing. What would you tell someone considering getting involved with Calvary? Calvary is a wonderful place to volunteer. The staff is very friendly, loving and kind and the women are such a joy to serve.